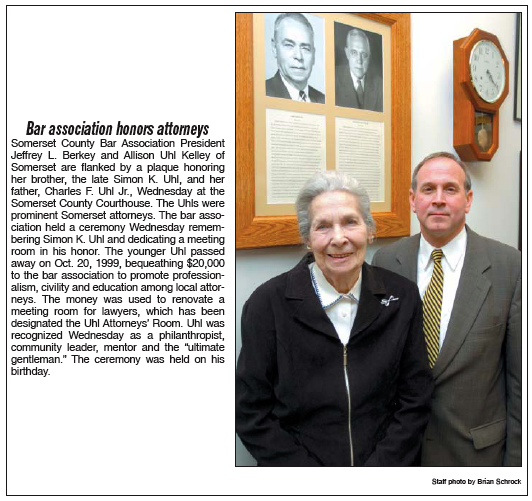 The Somerset County Bar Association remembered Simon K. Uhl, Esq. (1903-1999) at a special court session on February 22, 2006. 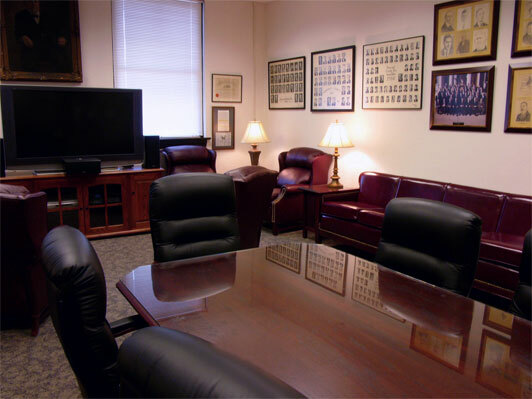 Using a bequest from Mr. Uhl's estate made in honor his father, Charles F. Uhl, also a Somerset Attorney, the association refurbished and outfitted an attorney's meeting room in the Somerset County Courthouse. The refurbishing project was coordinated and directed by Jack Dirienzo. Jim Cascio made one of the presentations in memory of Mr. Uhl (click here for the full text), and Jeff Berkey, president of the Association, welcomed participants, including Simon's 92 year old sister Allison Uhl Kelley.